The Maharaja Fateh Singh Museum, housed within the Lakshmi Vilas Palace in Vadodara, India, carries some of the most unique European and Indian art works, that were collected by Maharaja Sir Sayajirao Gaekwad III during his numerous trips out of India. The Museum was constructed as a school for the Maharaja’s children. It was established in 1961 and is located in the palace grounds. The collection in the museum essentially comprises of European paintings of eminent artists like Raphael, Titian and Murillo in addition to modern Western and Indian miniature paintings. The most prominent paintings include the masterpieces by renowned Indian painter, Raja Ravi Varma who exclusively painted life-like portraits depicting the Royal family of Gaekwad. Raja Ravi Varma (1848 – 1906) was an Indian painter from the princely state of Travancore (presently in Kerala) who achieved recognition for his depiction of scenes from the epics of the Mahabharata and Ramayana. His paintings are considered to be among the best examples of the fusion of Indian traditions with the techniques of European academic art. 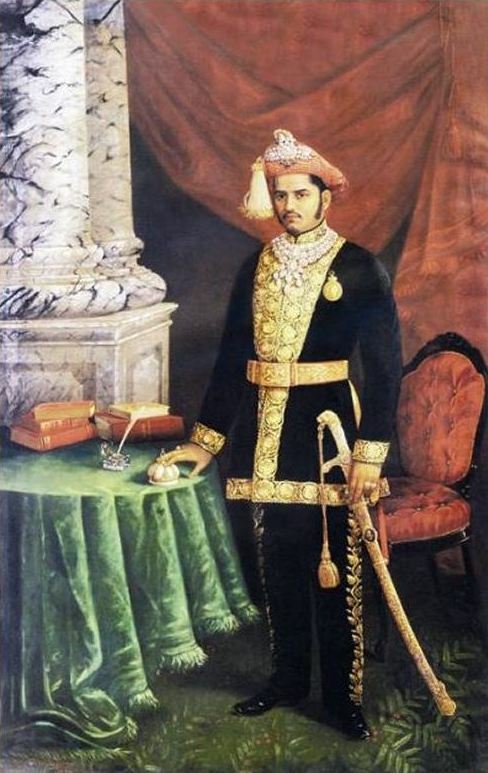 In 1881, Raja Ravi Varma was invited by Sir R. Madhvarao, the British Regent of the State of Vadodara, to paint the ceremonial portrait of Sayajirao Ill, the Gaekwad of Baroda. A special studio was created for him at the palace. During his stay at Baroda, Ravi Varma provided Lakshmi Vilas Palace, with two dozen large canvasses depicting episodes from the Mahabharata, Ramayana, and also a good number of family portraits. His brother, C. Raja Raja Varma, and sister Mangalabai Tampuratty assisted him. 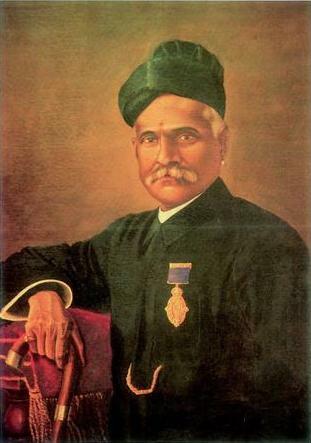 It was with the assistance and encouragement of Maharaja Sayajirao Gaekwad III that Raja Ravi Varma set up the Ravi Varma Lithographic Press in Mumbai in 1894. He brought in two German experts to assist him. Each print was individually numbered to prevent unethical reproductions. The press was later moved to Lonavla and finally sold in 1901 to his German technician Mr. Schleizer. However, the press was soon destroyed in a fire and was eventually closed down. In 1996, to mark the hundredth year of Raja Ravi Varma’s stay in Baroda, an Organising Committee was set up to plan an exhibition and a series of publications on the paintings in The Gaekwad – Raja Ravi Varma – Collection. This Committee compiled this exclusive portfolio of the choicest paintings of Raja Ravi Varma from the Gaekwad Collection. This Limited Edition portfolio includes an introductory profile on Raja Ravi Varma, reproductions of ten of his paintings and a broadsheet featuring the artist’s paintings in The Gaekwad Collection. The portfolio was conceptualized by Dr. Saryu Doshi, an eminent writer in the field of art. Raja Ravi Varma spent twelve years of his prime artistic career producing some of his most important and acclaimed paintings for the Lakshmi Vilas Palace. He continued to enjoy Gaekwad patronage till the very end. Posted in Art, Artist, Gujarat, History, Monuments, Profiles and tagged art, Gaekwad, Museum, Oleography, painter, Painting, Portraits, Raja Ravi Varma, Royal. Bookmark the permalink.